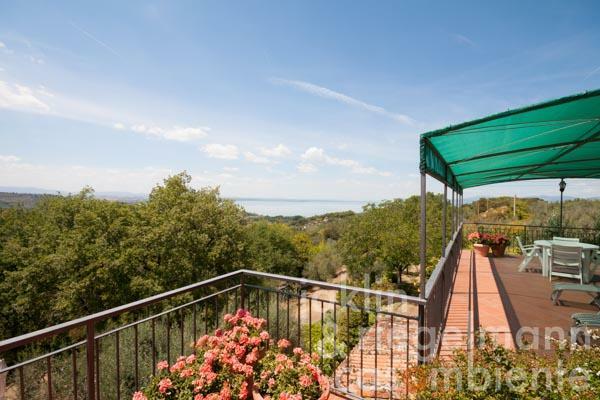 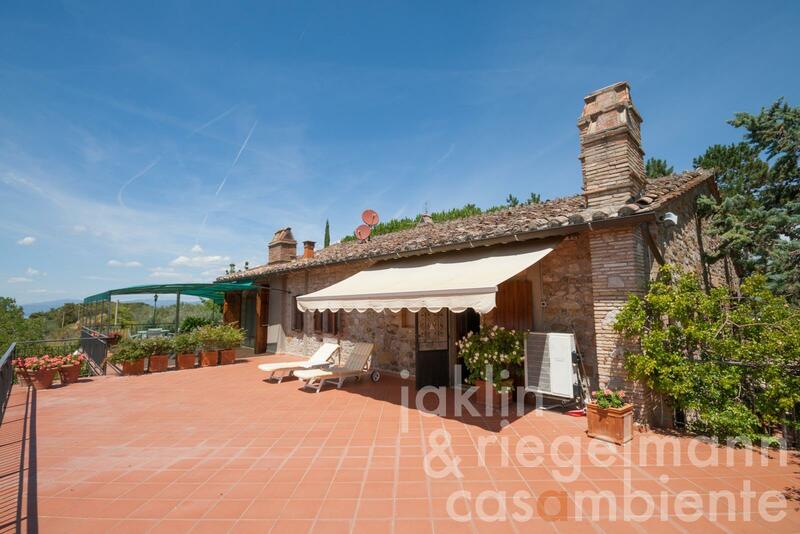 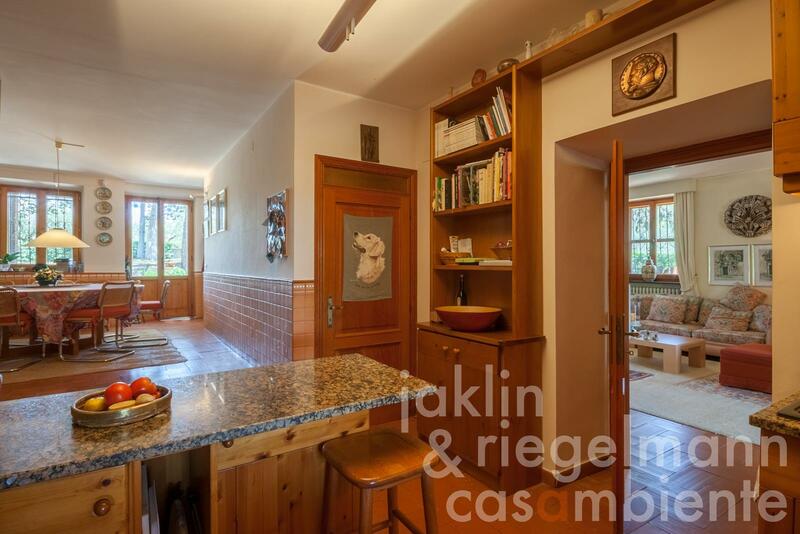 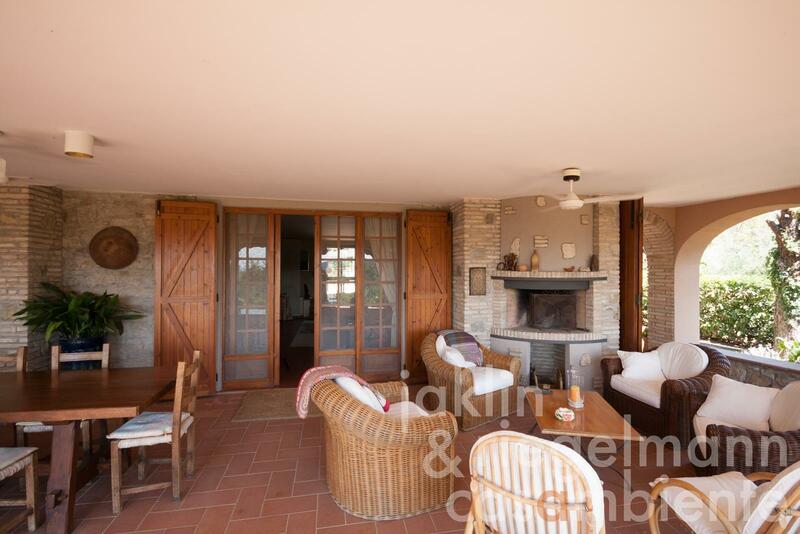 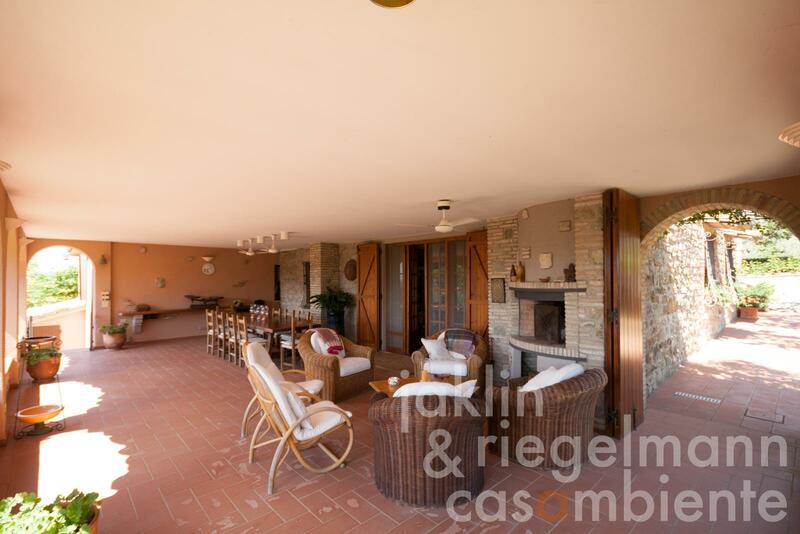 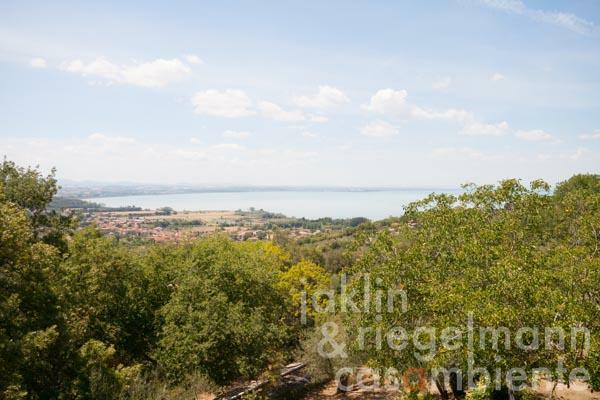 The country house is situated in the middle of its park-like plot of about 1 hectare in an undisturbed panoramic position and views onto Lake Trasimeno, which is about 1 km away in a straight-line distance. 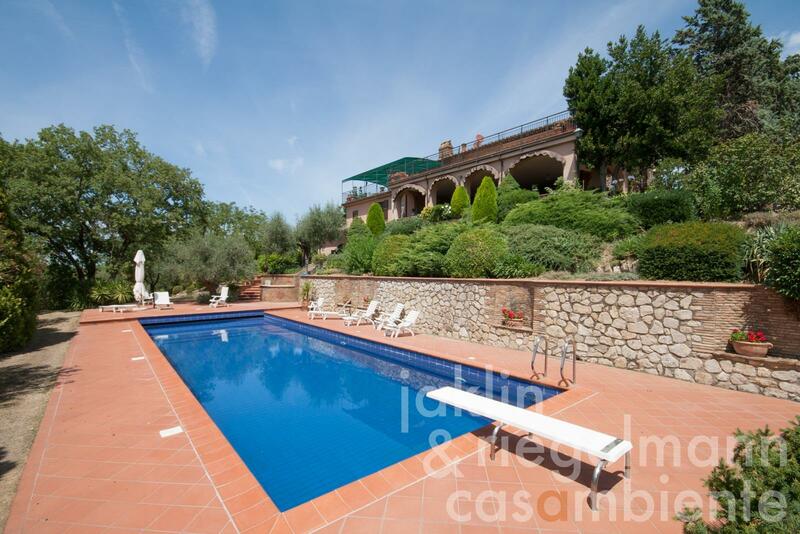 During the complete restoration of the stone-built house, the characteristic loggia and the large tiled pool were created. 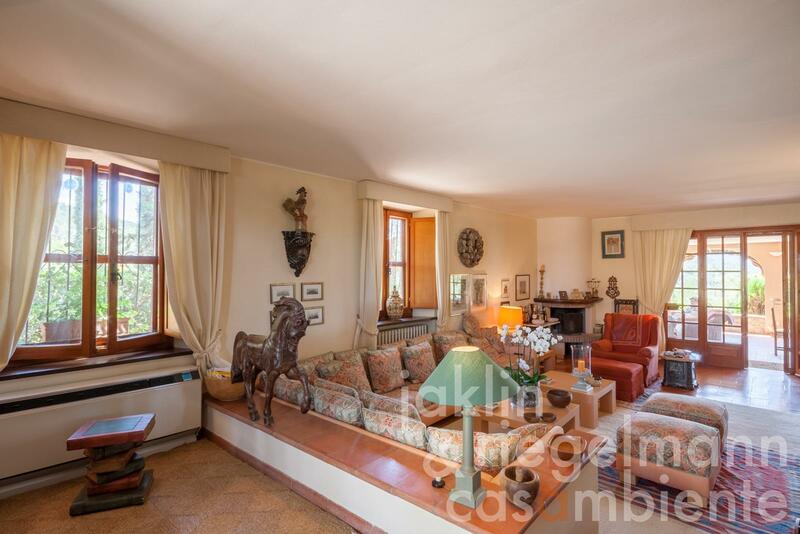 The house itself has about 400 m² on two levels: On the ground floor, the entrance area leads into a large living room with fireplace and access to the loggia, which covers almost the entire width of the house. 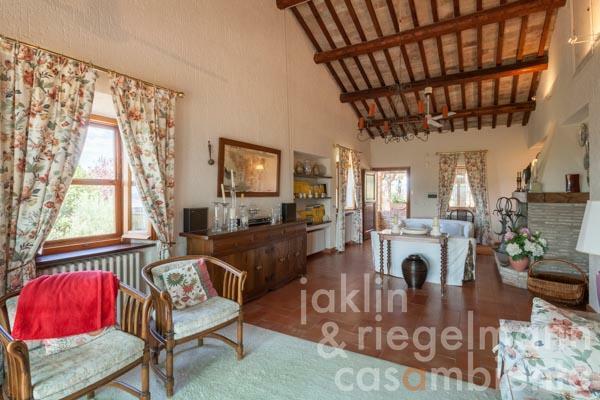 There is also a bathroom, dining room and a kitchen, which also leads to the loggia, a bedroom, storage rooms and a second bathroom. 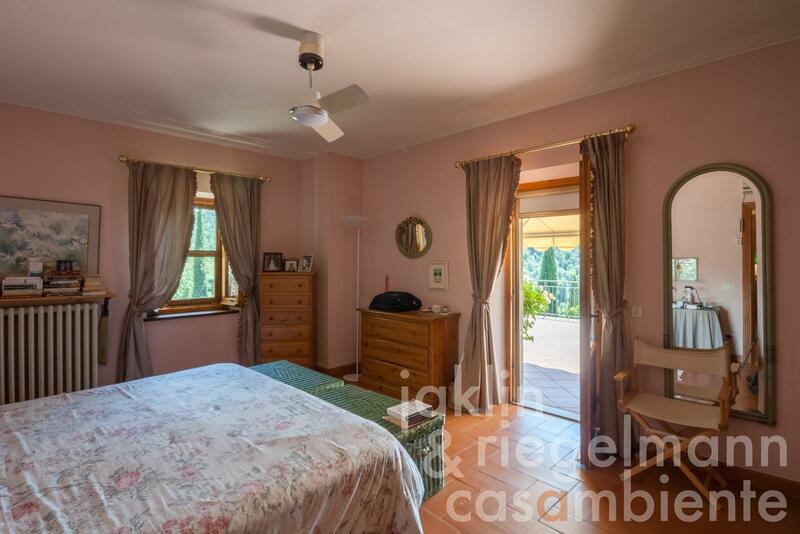 On the first floor there are four bedrooms, two bathrooms as well as a large living-dining area and a veranda over the entire width of the house. 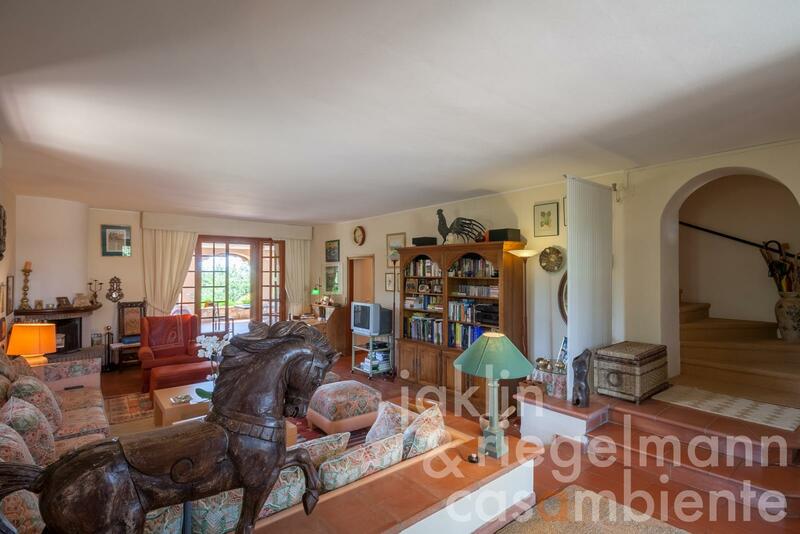 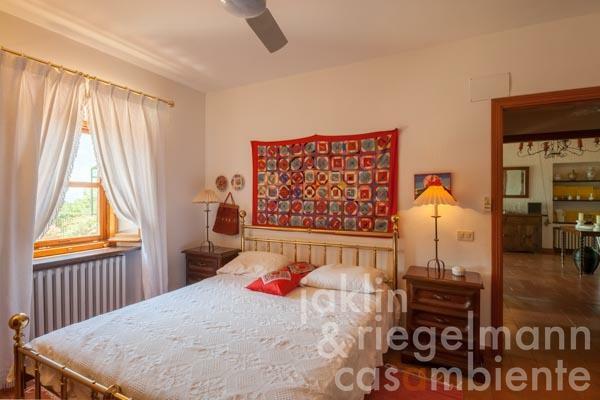 Also two annexes of about 20 m² + 14 m² belong to the property. 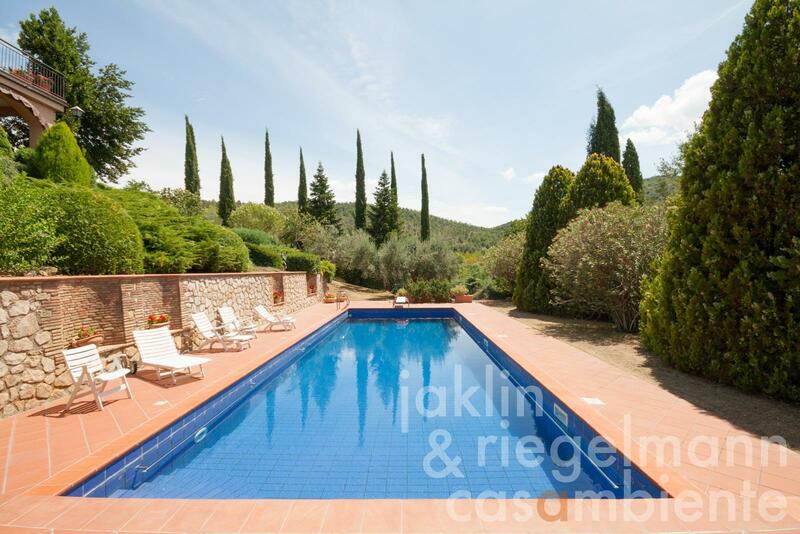 The 15 x 5 m pool has an automatic cover, a changing room and a bathroom. 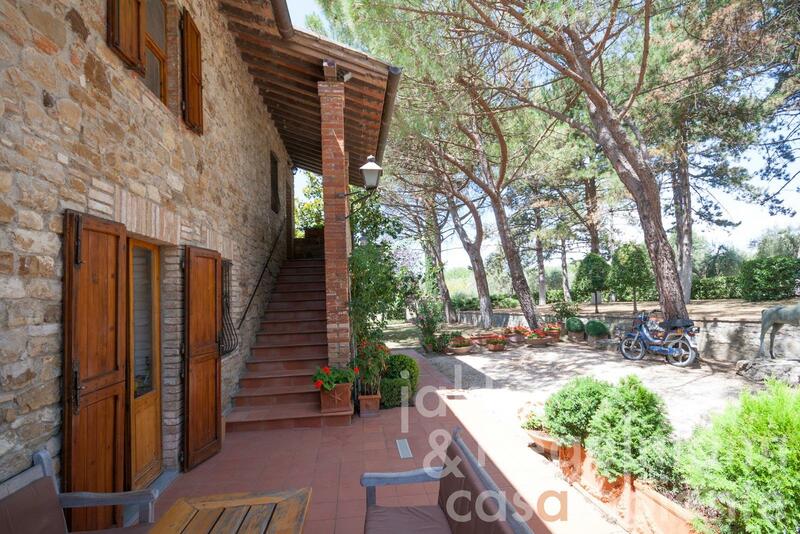 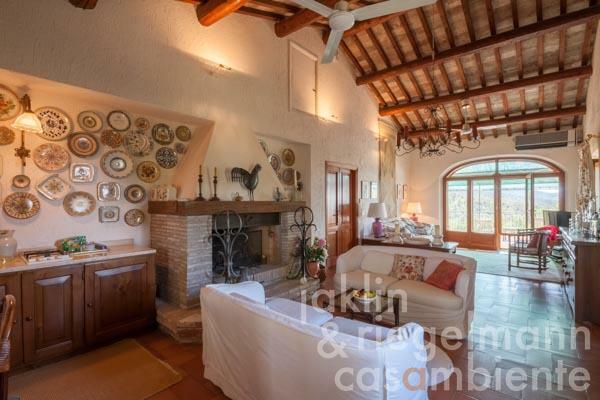 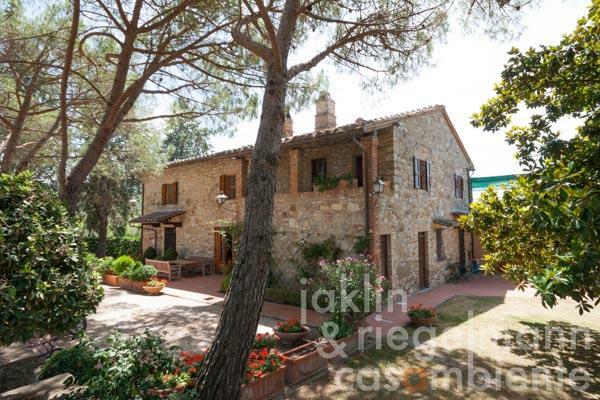 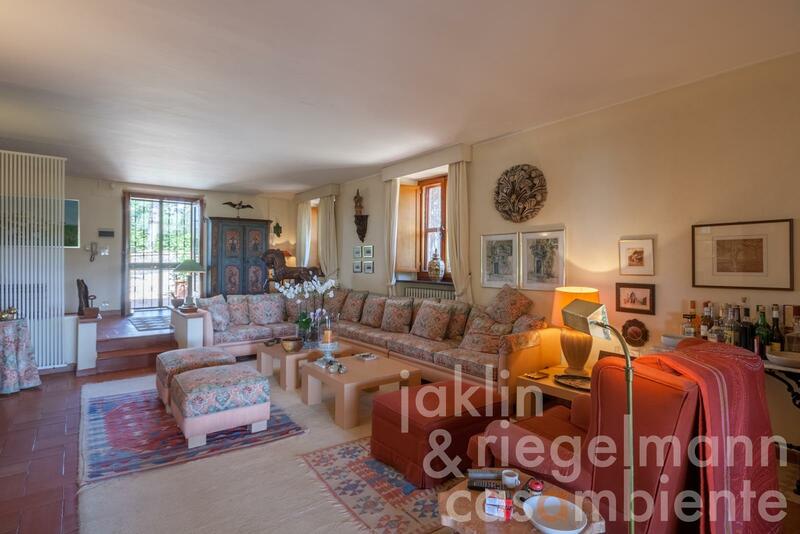 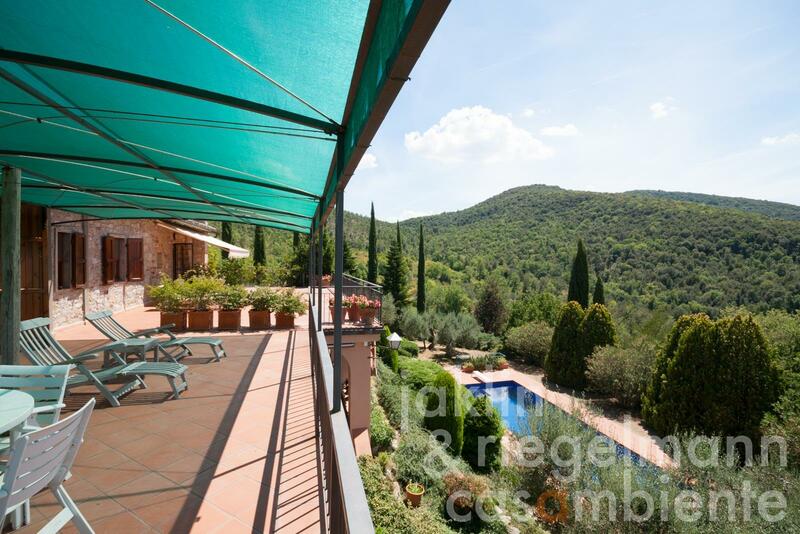 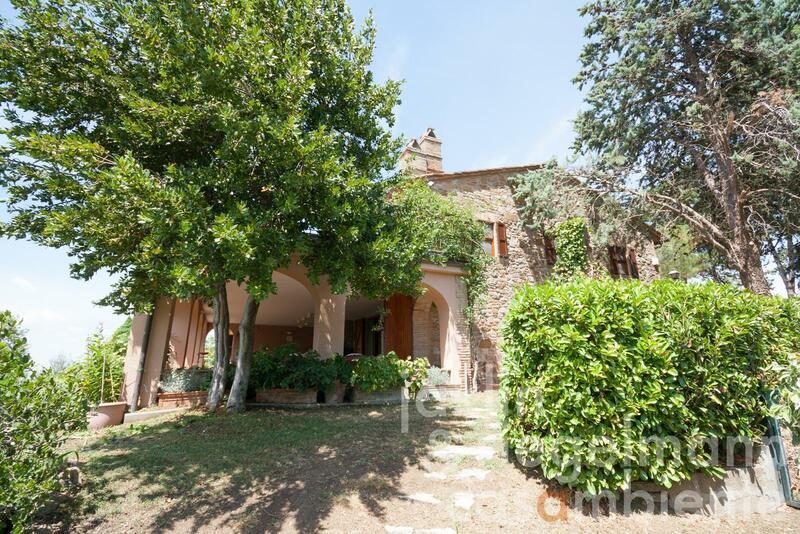 The property is completely fenced in and has an old population of pines, cypresses and about 40 olive trees, as well as lawns, bushes, Mediterranean plants and a vegetable garden. 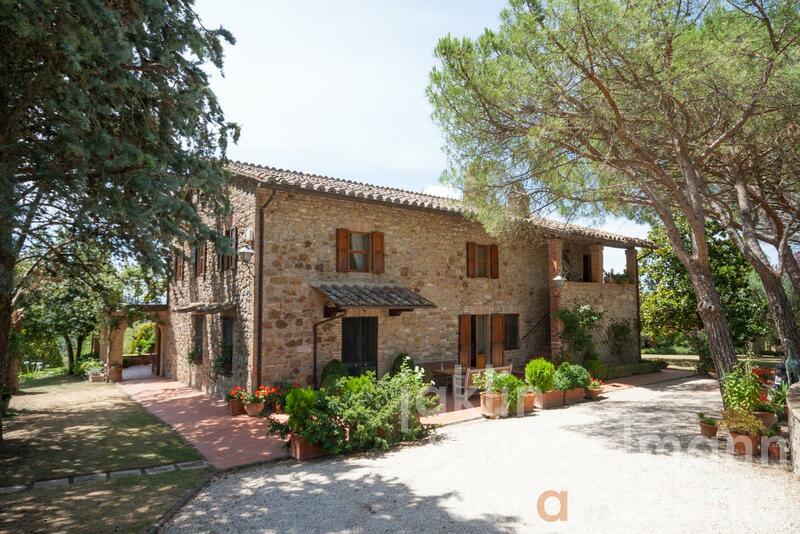 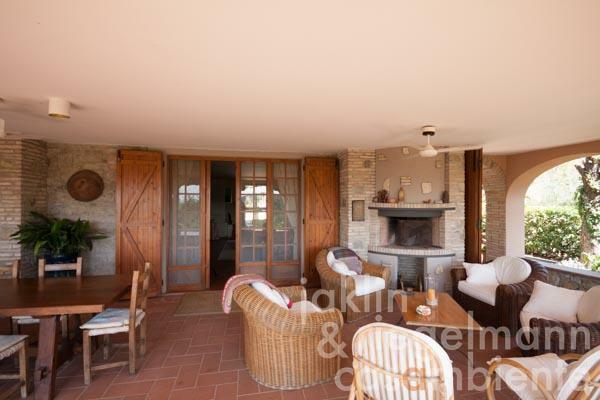 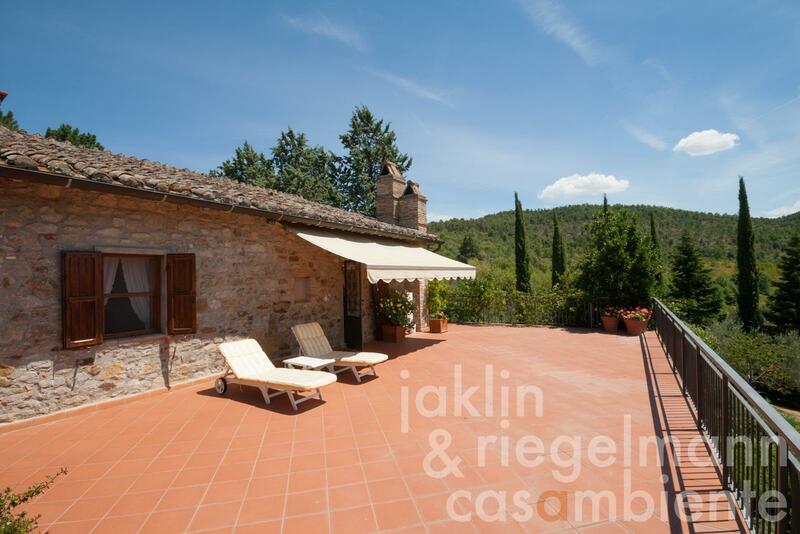 The property is located in an environment where nothing disturbs the senses, but is still only a few kilometres away from the nearest villages with all infrastructure and highway connections. Perugia can be reached in about half an hour (25 km). 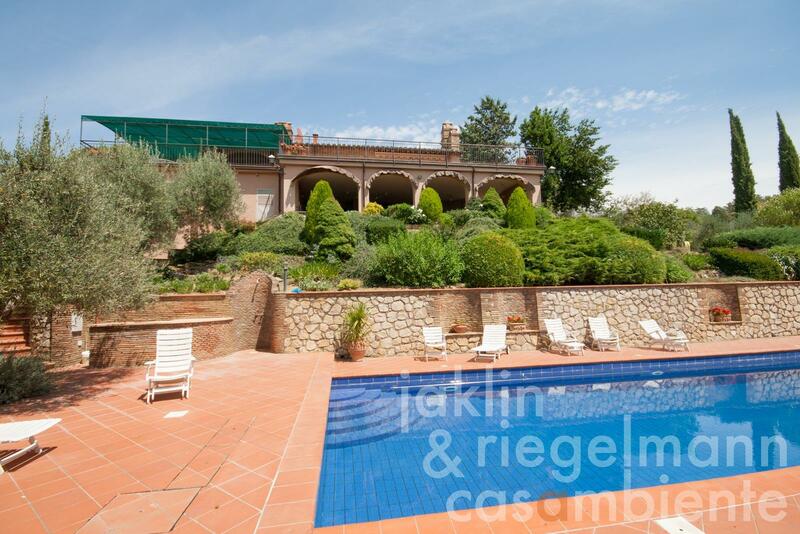 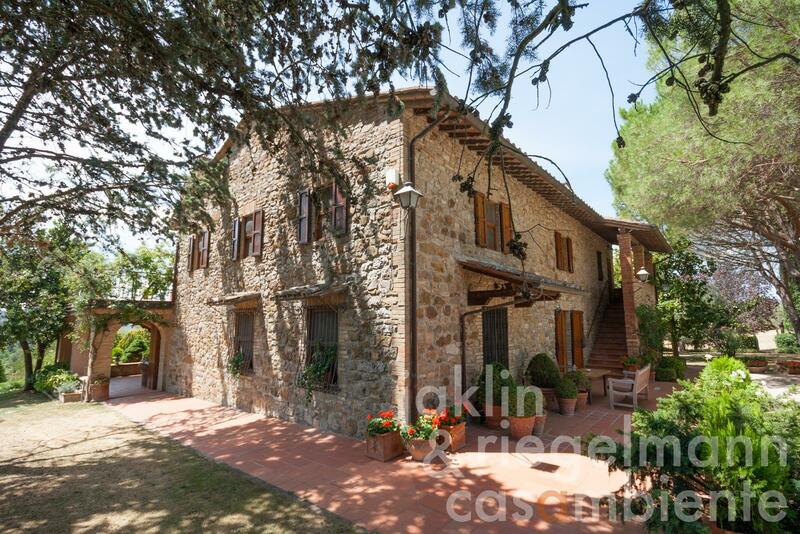 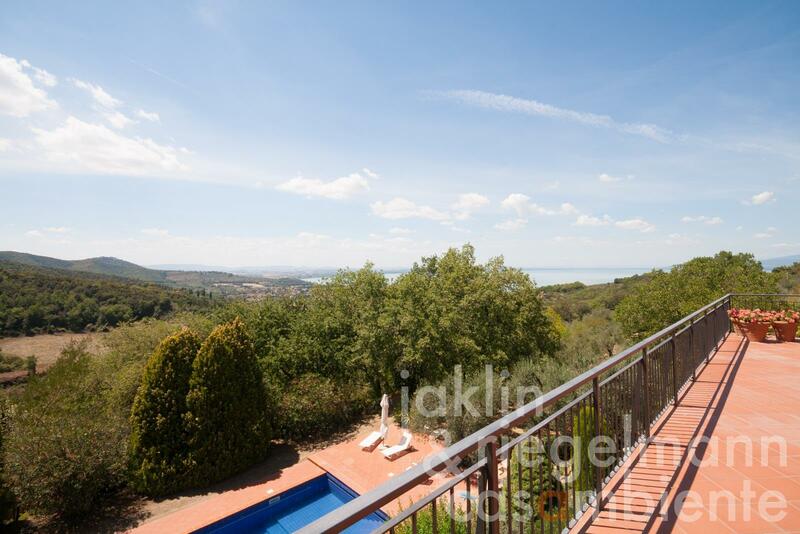 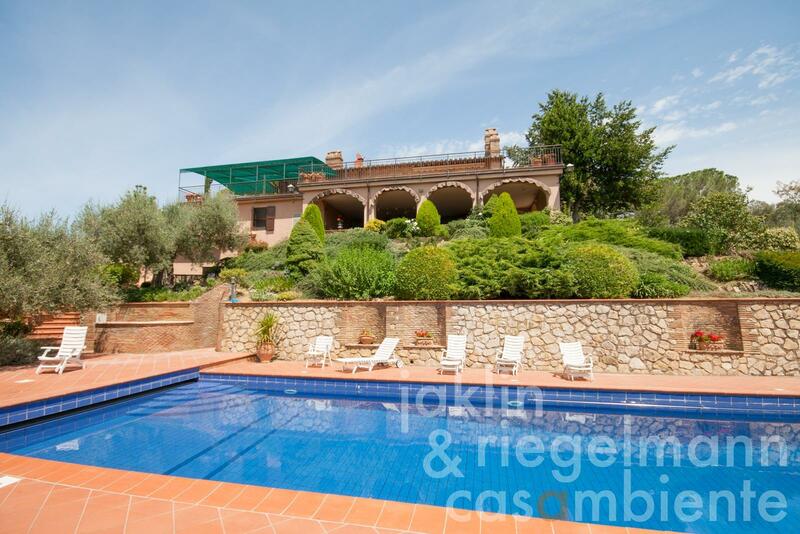 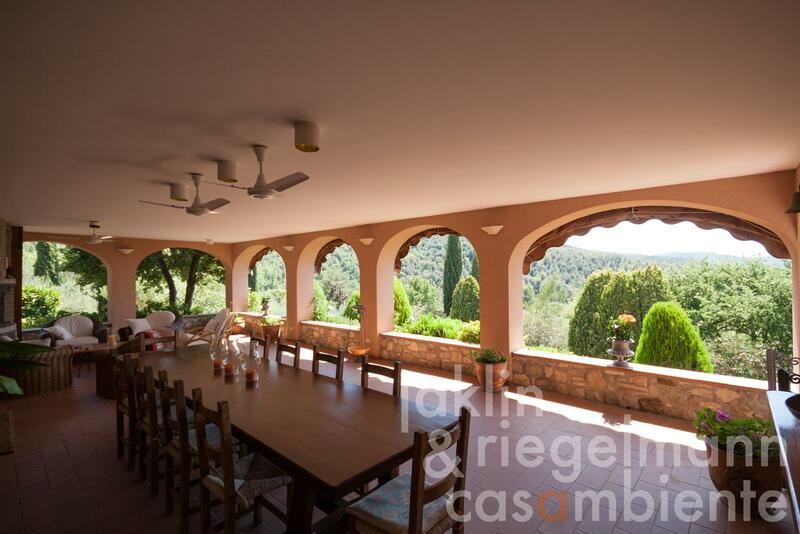 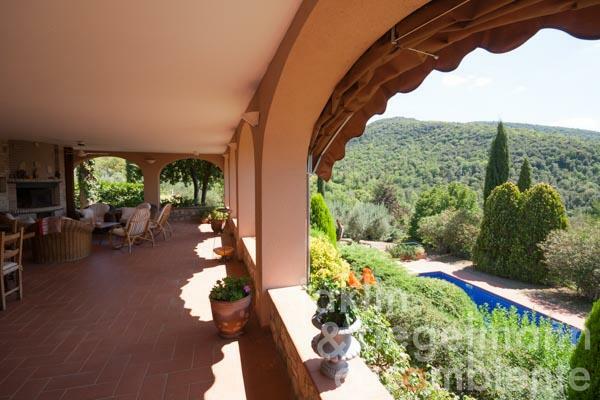 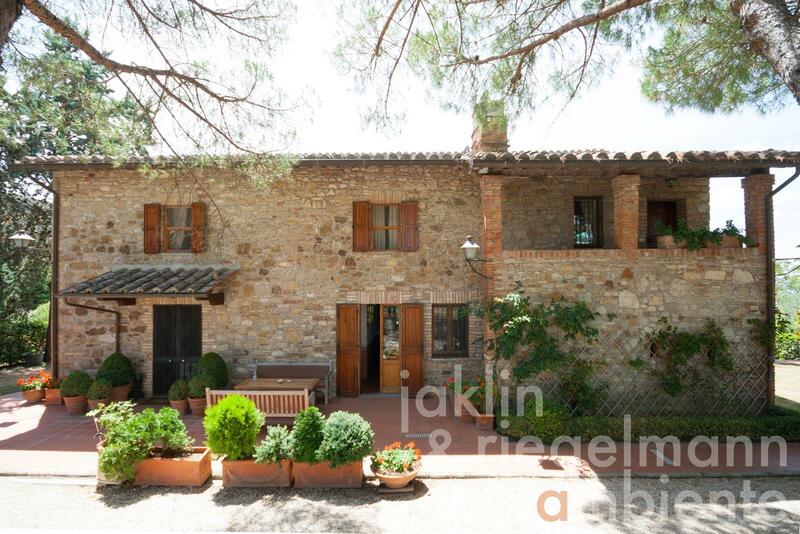 9,490 m² with vegetable garden and about 40 olive trees. Electricity, photovoltaic modules, own well water, central heating, fireplace, gas tank, telephone, broadband internet access, satellite-TV, automatic gate, alarm system, swimming pool, roof-deck, carport, private parking, terrace, olive grove, garden.